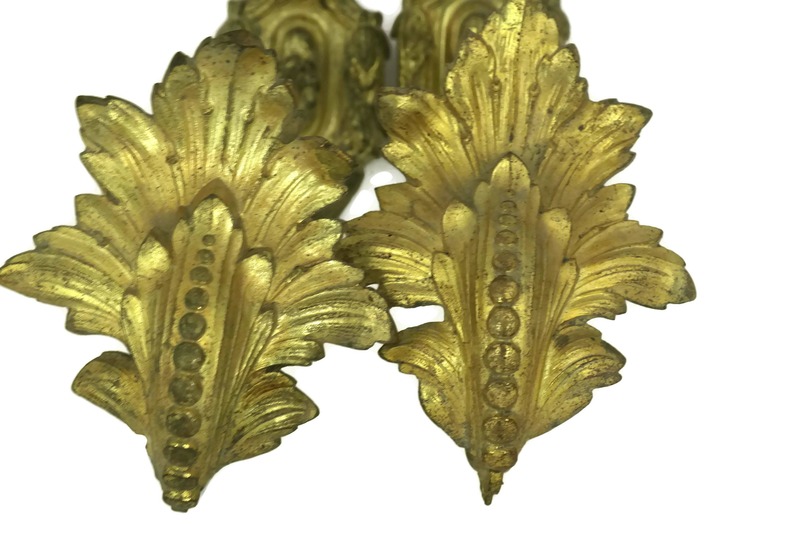 Large Antique French Gilt Bronze Curtain Tie Backs. 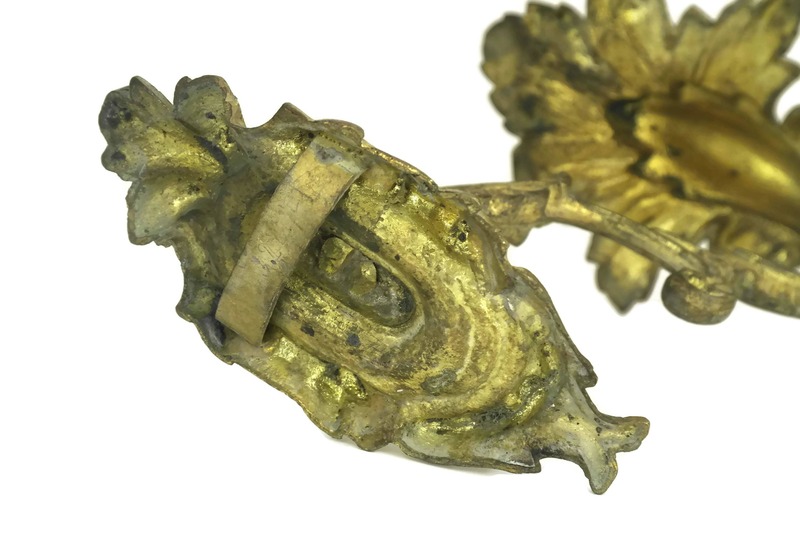 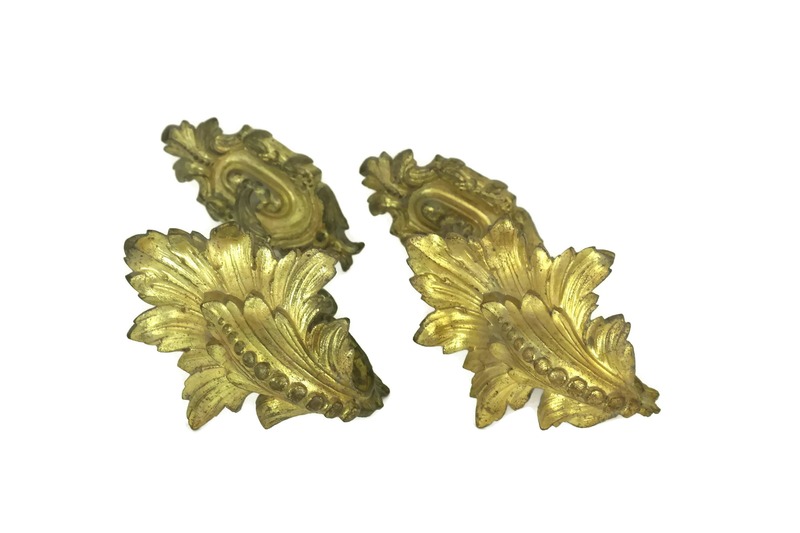 Pair of Rococo Curtain Tie Back Hooks with Acanthus Leaves. 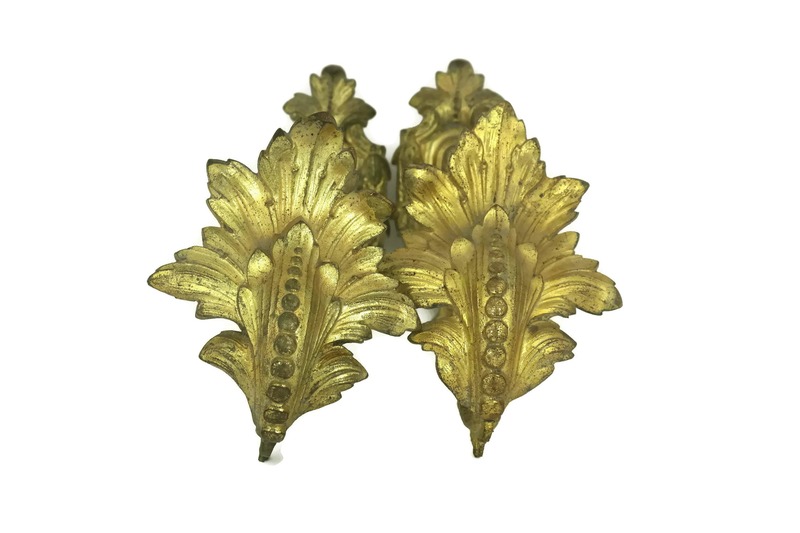 A fabulous and very ornate large pair of antique French curtain tie backs dating from the turn of the last century. 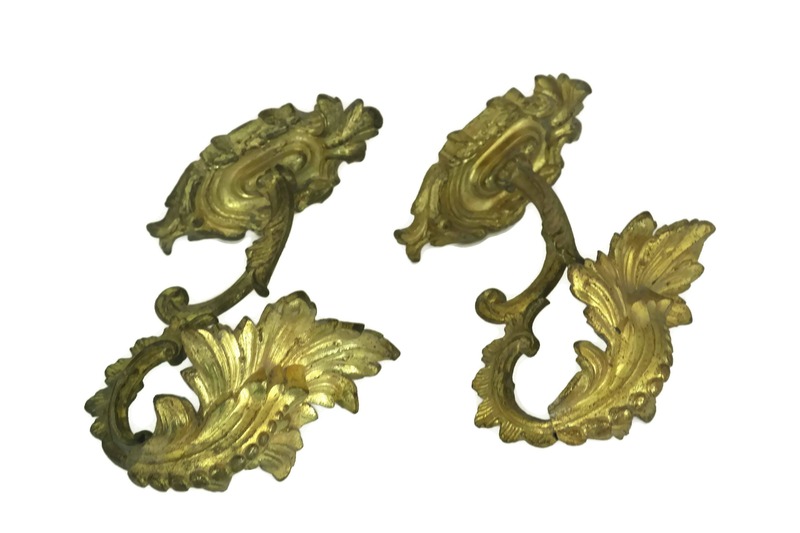 The gilt bronze hooks feature a highly decorative Rococo design in Louis XV style, with beautiful acanthus leaves and have a lovely old gold tone. 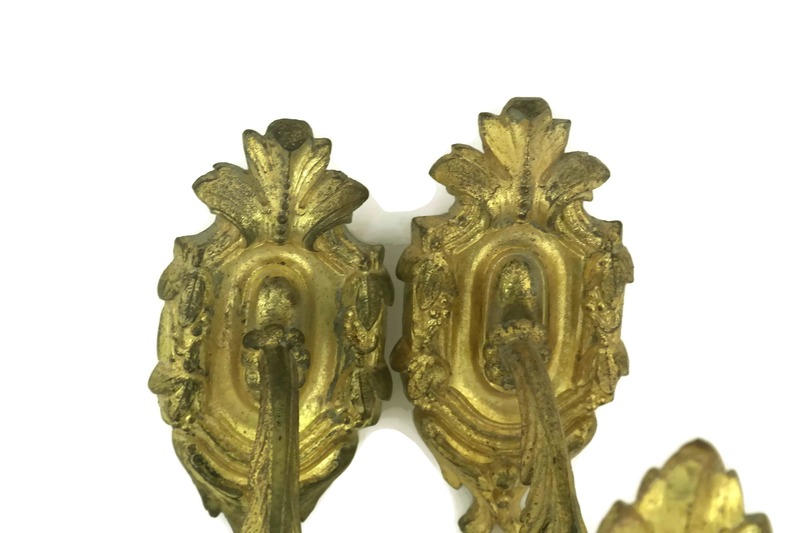 There is a hook at the back of each tie backs for hanging on a nail on the wall. 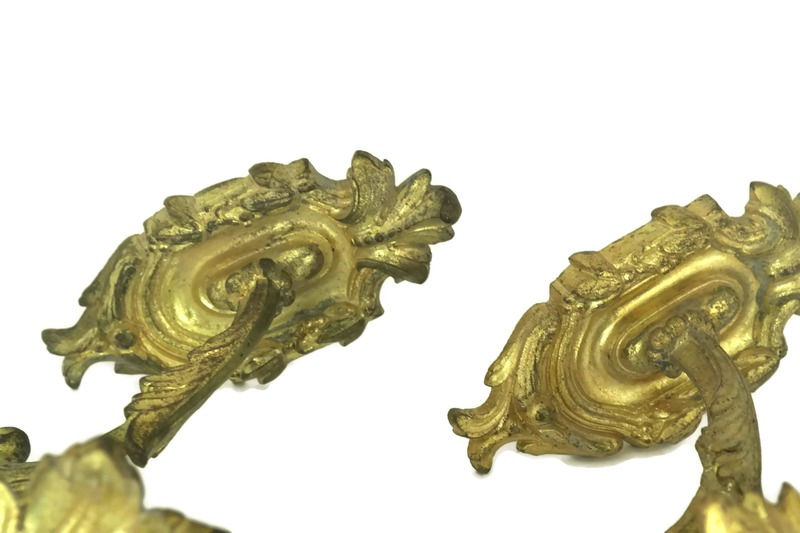 Each of the curtain tie backs measures 7" tall x 4" wide (18 cm x 10 cm) long. 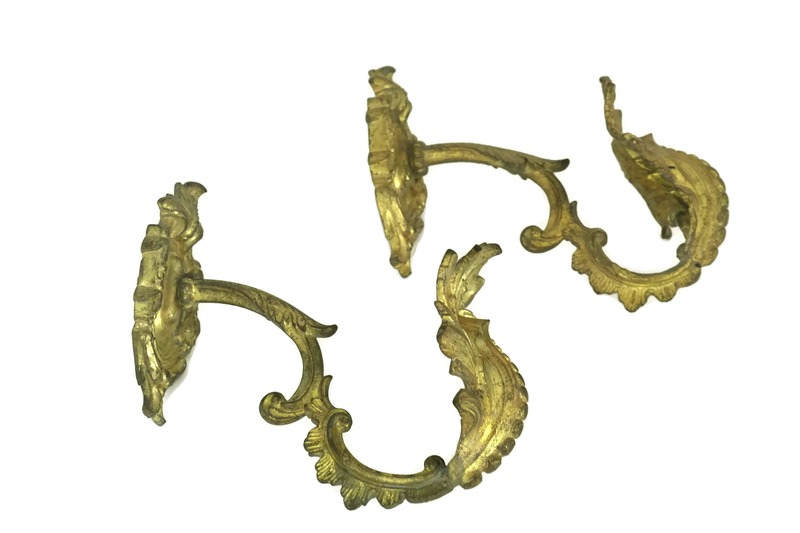 They stand 8" (20 cm) away from the wall. 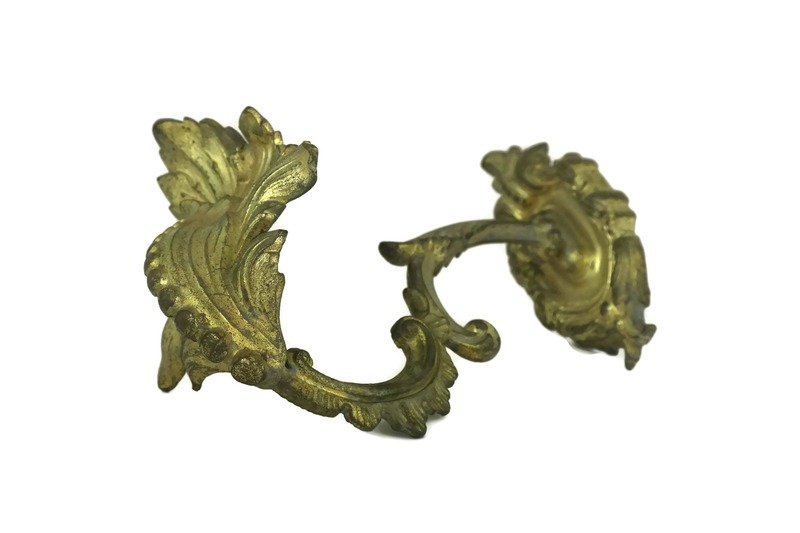 The bronze curtain tie backs are in very good antique condition with some light wear and some patina. 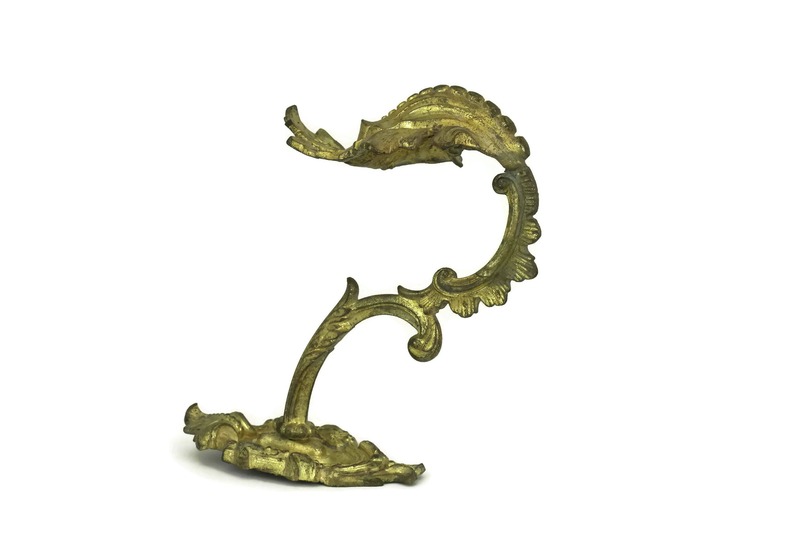 One of the acanthus leave on one of the tie back is slightly bent.